To give you further inspiration on how you can go epic in showcasing the Freelancer logo, we’ve compiled some entries from the past Expose Our Logo challenges. When we say have fun and go crazy, we mean it! It would also be great to see creative and unique entries that are worth sharing on social media. In 2012, expertprakash and his team showcased the Freelancer logo in Nepal’s historic Dharahara a.k.a. the Bhimsen Tower. Fifteen people climbed the tower to hang the 61.88 meters-long banner. From a nine-storey tower, why not expose the Freelancer logo way higher? Like way up in the air. If you can’t fly a plane, maybe you can jump off it? These guys went skydiving. Yeah, totally cool. Just a reminder, if you’ll choose to do extreme activities, find a way to still showcase the logo to many people. From New York City, let’s go to Chiayi City in Taiwan where this group celebrated the “Year of the Hummingbird”. This is the kind of activity we have in mind each time we say come up with fun ways to expose the Freelancer logo. When we said we’d like to see something out-of-this-world, we never thought somebody would take those words literally. Freelancer user andrewsmithart came up with the “mysterious lights” that flew over Utah County on January 27, 2012. It even got into the local news because people thought it was a UFO. Haha! Now this one’s really cool (in the truest sense of the word). The GreenGraffiti Team showcased the logo by using specially cut template and snow, which was also their way of promoting the use of natural techniques for responsible advertising. They did this in 20 different locations in the city of Sofia, Bulgaria. This entry was among the finalists in 2015. The stop motion technique was effective in adding the fun factor in their video. But what we loved the most was how this entry turned out to be inspiring. Three things: fun, simple, attention-grabbing. 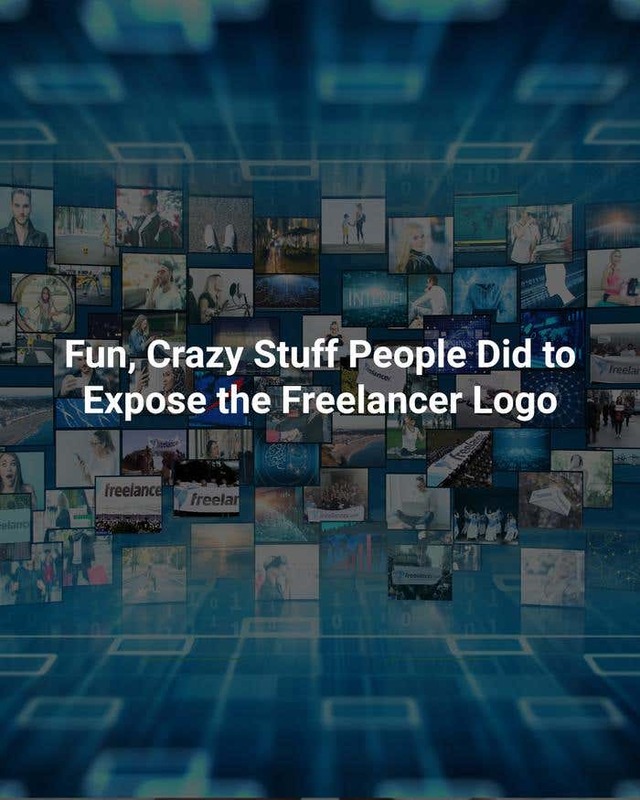 There are many ways to show off the Freelancer logo to a lot of people, you just have to know where the crowds are. You all know about the Superstar award or the Best Celebrity Cameo Appearance, right? These guys went above and beyond that. They were able to cast Indonesian actor Luis Jocom in their entry that was almost like a real movie clip! Okay, so here’s another past entry that hit 100 percent in the creativity meter. We don’t know how many people saw these hummingbirds. It may not be the biggest effort in exposing our logo but we’re sure you’ll enjoy this, too. Whatever you choose to do, wherever you plan to go, just enjoy and let people know about Freelancer. And if you’re able to put a smile on other people’s faces, then that’s a sweet bonus. Take a look at what these guys did in 2015. Great news! We have extended the contest until the end of the month. Yes! You still have time to work on your fantastic video until September 30, 11:59PM Eastern US Time. Once you’re ready, upload your entry on the Expose Our Logo 2017 contest page.